What’s new in Direct Planning 3.4 ? 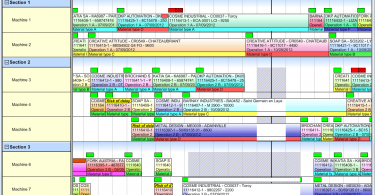 What’s new in Direct Planning 3.3 ? 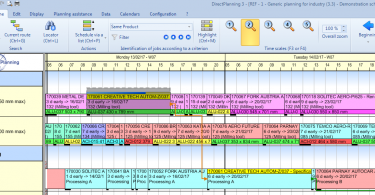 What’s new in Direct Planning 3.2 ? Although screenshots and videos shown on this website are temporarily in French, the software is fully available in English. 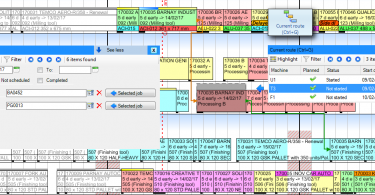 Product News What’s new in Direct Planning 3.4 ? Product News What’s new in Direct Planning 3.3 ? We’ve been using Direct Planning for almost 5 years and we can now testify with hindsight. We’ve been completely satisfied of the achieved feedback since we started scheduling with Direct Planning. Direct Planning is perfectly adapted to schedule a cardboard-type production unit. It is easy to use and user-friendly. Moreover, the flexibility of Direct Planning in terms of modelling and configuring is valuable. Very quickly, Direct Planning brought us a better visibility over our productions. Specifically, it allowed us to better manage our production flows, by significantly reducing work in progress. 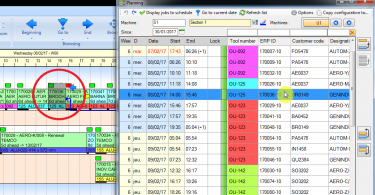 Thanks to the visibility it offers, Direct Planning allows managing our productions efficiently on a just-in-time basis. I’m in charge of the Production Management and I’ve been using Direct Planning since 2013. I needed a planning tool to address every day’s issues on the field. 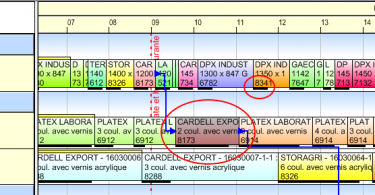 Direct Planning provides a clear and accurate overview of the workload of the production means, together with a high flexibility in the decision-making process. It’s also a very convenient tool to share information with the various functions of the company: thanks to the configurable lists, I’ve created a series of reports which I can share with my co-workers. Workload histograms, production hazards and other stuff may be easily obtained with great precision. Direct Planning matches your needs, and not the other way around, that’s what makes the strength of our application. After a little interfacing with our ERP to import the manufacturing orders, productivity has been boosted in the planning stage, while improving the accuracy of the production plan. This precision plays a key role to make the deadlines more reliable, thus to achieve customer satisfaction. Direct Planning has enabled us to better respect our time limits and anticipate our workload. We are a cardboard company specialized in POS. Previously, we had a manual schedule with labels, and times were a bit approximate. Today, with Direct Planning, I can schedule more accurately. For any potential order, we draw up a retro-planning, which lets us set aside time on machines according to the requested deadline. When the order is actually placed by the customer, it is processed, then the transfer is directly performed and replaces the retro-planning. This allows us keeping the initial, planned deadline. Direct Planning is simple to use and very user-friendly.